Android Training Course – Join Only A Leading Academy To Get The Best Training! As the world is going mobile, people are getting closer towards the use of Smartphones. We all know that Android is the most popular platform which is gaining importance day by day among people across the globe. The use of Smartphones has provided flexible and easy ways for people to access anything, anytime. 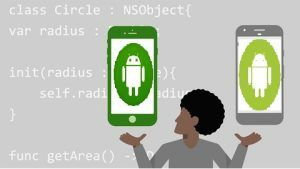 Android development is growing across the world and this is the reason for which the demand of Android Developers is getting high among all the IT Companies. Here comes the need to join an Android Live Project Training Course to learn Android Development and make your future bright in this field. It is always observed that students are a bit confused to choose a career path after completing their education. But if you are having interest towards Android and want to become an Android Developer, then you must join Android Classes. By joining the best Android Course from the leading academy, you will definitely get a better chance to prove yourself in the IT Corporate field. There are various smart devices like Tablets, SmartPhones, and different touchscreen devices on which Android Platform is ruling all over the world. As we all know the current status of IT market and it is clear that Android Developers are high in demand due to the high use of Android OS on various smart devices. IT field is growing tremendously and with this advancement, there comes daily some new updations in the mobile operating systems. Here comes the need for skilled and experienced Android Developers to handle everything which is required for Android Platform. By joining the best Android Courses, you can learn all the Android Programming and can shine in IT Company by showing your skills. You can get the best package in IT Company by showing the best skills that you had learned by joining an Android Course. The Certificate for Android Course adds an advantage in your professional skills and helps in providing you a best and deserving package. Android is the current hot employment and it’s in full demand across the globe. That’s why it is important to improve your knowledge and be a proficient in the field of Android to rule the Android Market. Students aspiring to join an Android Course should always look for such an institute that will provide them Android Live Project Training. Practical knowledge is always important to understand how all the things work in an actual way. Getting an Android Course from the expert trainers will add huge benefit in your whole training to get the best knowledge of developing Android Apps. You will get a chance to live the same experience as of any corporate field by joining an Android Course. Creating Android Apps requires small investment as compared to other different mobile app development platforms. Getting an Android Course Certification will help IT Students to show their potential and skills in developing the best Android Apps that will benefit any business. The right training will always help students to explore their technical skills in the right direction. An Android Course Certification will add huge benefits in providing the right knowledge to students when they will develop the most stunning Android App for any business area. You can boost your technical skills by joining an Android Course from the best institute. Because joining a professional course will help you to learn all the coding tricks and get full practical knowledge. Android is an ever growing field and you can get best employment opportunities after completing your Android Course. 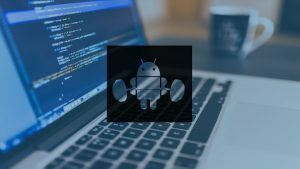 In the end, it is concluded that students who are aspiring to build their career in the programming field should take the best Android training in Ahmedabad. This will definitely improve their knowledge and will sharpen their technical skills to work as a successful Android Developer in an IT corporate field. We all know that Android is the most famous mobile operating system which is getting a huge boom among all the people. 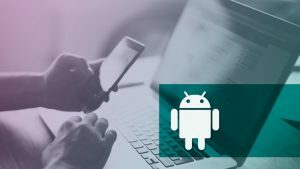 You can make a strong and bright career by becoming an Android Developer after taking an Android Course Training from the best Training Institute.